Tactile 3D Portraits Let the Blind See Themselves #ArtTuesday « Adafruit Industries – Makers, hackers, artists, designers and engineers! 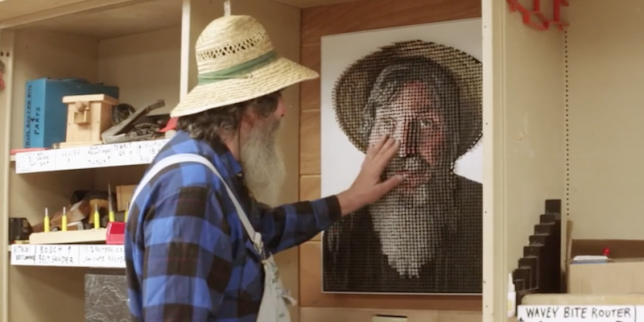 “My nose isn’t that big!” protests portrait subject George Wurtzel as he runs his hands over his own image, rendered in paint on thousands of screws raised from a wooden board in a relief pattern. He might not be able to see the colors, or the play of light and shadow that gives the portrait much of its nuance and realism, but he can still experience it in a way that wouldn’t be possible if it were merely painted onto a canvas.